Sub: - SBTET- Exams - Instant Diploma Examinations May/June-2016for the candidates ofC- 09 scheme - Notification issued - Regarding. Ref: - As per the academic calendar 2015-16 of the DTE . candidate in al\ year, semesters put together. details will be available in the concerned HOS Login of the above portal. The receipt of this letter together with Notification may please be acknowledged. Practical or Both) put together. i.e. from I" year to 6'h semester. 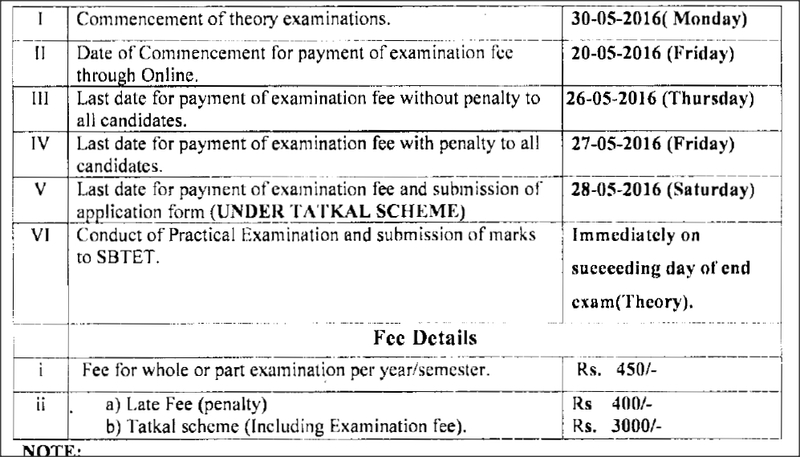 Examination Centres as mentioned on the Hall ticket. Winter Session of Supplementary examination. 2. The Candidates awarded punishments under Malpractice are not eligible. for the issue of hall ticket. 2. 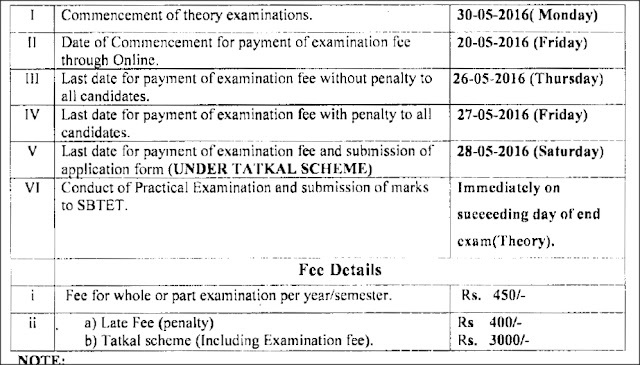 Detailed time-table of examinations shall be communicated by 23-05-2016. Card/Credit Card/Net Banking for all Diploma subjects. 4. Fee once paid will not be refunded or adjusted under any circumstances. 8. The URL for online fee payment module is http://ousbtet.net/dofpportal. 9. The date mentioned at SNo. VI is the date by which the Board should receive the inputs. Waiting for your reply sir...!